The Arctic is experiencing a multi-year stretch of unparalleled warmth “that is unlike any period on record,” according to the 2018 Arctic Report Card, a peer-reviewed report released Tuesday morning from the National Oceanic and Atmospheric Administration, an agency within the United States Department of Commerce. The year 2018 was the Arctic’s second-warmest year on record behind 2016. 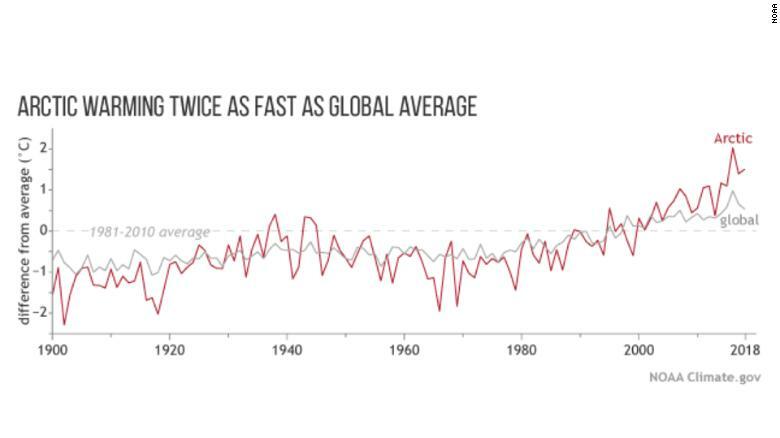 The top five warmest years have all occurred since 2014. Since 2000, Arctic temperatures, shown in red, have been higher than the overall global temperature anomalies, shown in gray. In 2018 the Arctic was shown to be warming at an alarming rate, twice as fast as the average global temperature. Old ice — ice that lasts through four or more melt seasons — seen in 1985, left, and 2018, right. 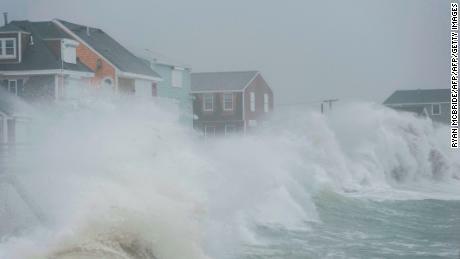 The new edition of the report, which is published annually, does not present a radical break with past installments, but it shows that troublesome trends wrought by climate change are intensifying. Air temperatures in the Arctic in 2018 will be the second-warmest ever recorded, the report said, behind only 2016. 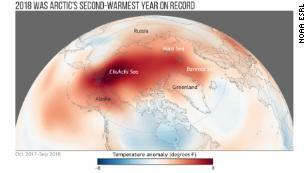 The warmer Arctic air causes the jet stream to become “sluggish and unusually wavy,” the researchers said. That has possible connections to extreme weather events elsewhere on the globe, including last winter’s severe storms in the United States. The jet steam normally acts as a kind of atmospheric spinning lassothat encircles and contains the cold air near the pole; a weaker, wavering jet stream can allow Arctic blasts to travel south in winterand can stall weather systems in the summer, among other effects. The more rapid warming in the upper north, known as Arctic amplification, is tied to many factors, including the simple fact that snow and ice reflect a lot of sunlight, while open water, which is darker, absorbs more heat. 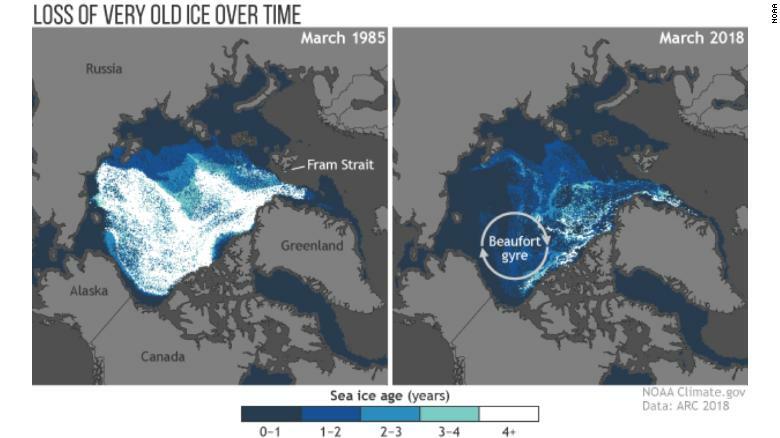 As sea ice melts, less ice and more open water create a “feedback loop” of more melting that leads to progressively less ice and more open water.